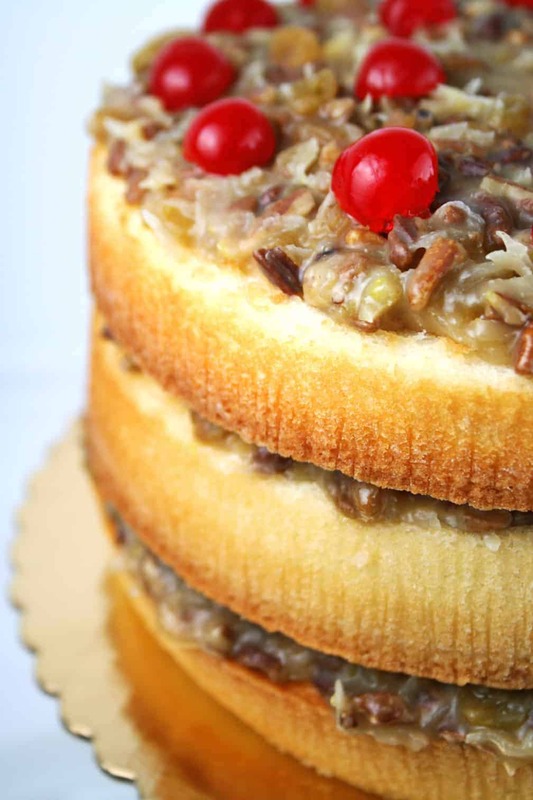 Alabama Lane Cake is a bourbon-laden layer cake with a coconut pecan icing that’s traditional in the American South. Have you ever heard of Alabama Lane Cake? It’s a favorite in my family. The recipe has been handed down for generations. 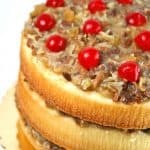 We call it simply Lane Cake in my family but I’m calling it Alabama Lane Cake in this post so readers know its origin. I’d never made it myself before now, but I have my grandmother’s handwritten recipe. That is not a huge help though since it gives no directions. Only ingredients. My mother has tried making it several times, as well as some of my cousins. They have all had trouble getting it to turn out just right. We recently had a family reunion and it was my cousin, Amy, who inspired me to finally attempt to make this much loved confection. Challenge accepted! I decided to use my grandmother’s original ingredients, with the exception of a few additions and my own baking method. I was so delighted with the outcome. It came out great and that is why I am thrilled to share the recipe with you and all of my family members who would love to make this very special cake. I used medium sized eggs for this recipe (it’s the egg on the right in this photo). Can you see the difference? The one on the left is large. I thought the eggs might have been a bit smaller at the turn of the century when my great grandmother was first making this recipe. 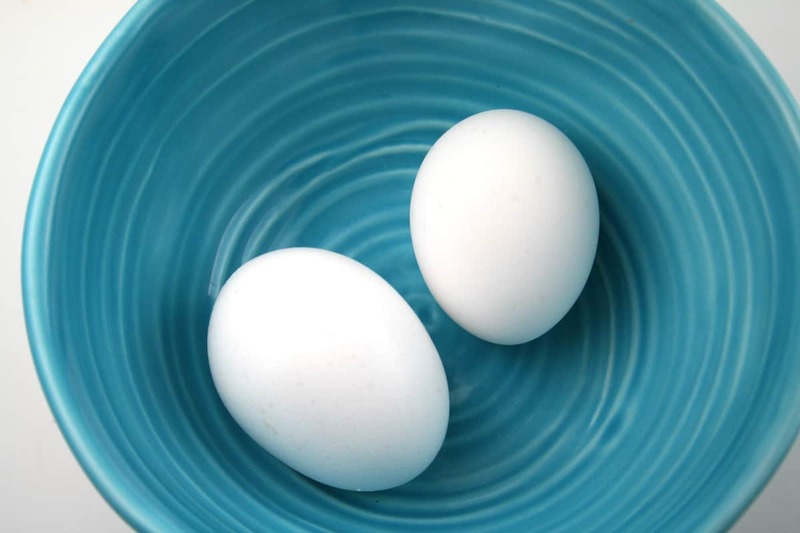 Smaller eggs would provide for a smaller quantity of eggs whites. If you can’t find medium eggs, then you can measure the egg whites. You will need exactly 1 cup. To make this cake, I used a method that is not the traditional creaming the butter and sugar, then adding eggs, dry ingredients and milk. No. This is the opposite and it works surprisingly well. So you start with your sifted cake flour, sugar, baking powder and salt. Mix it together. Then, with your mixer on low, you slowly add cubes of very cold butter. It’s sort of like making a pie crust. Continue to mix on low until you have achieved fine crumbs. Then you add your milk and vanilla. Mix on low for 5 minutes. Gradually add your egg whites and mix on low for 3 more minutes. Voila! You have your beautifully perfect Lane Cake batter. Divide the batter equally into your 3 prepared cake pans. Believe it or not, I used disposable cake pans (8″x1.25″ Hefty EZ Foil). It’s very important to prepare your pans properly so that your cakes won’t stick. I use Homemade Pan Release (Goop – see recipe below) and I also cut my own parchment circles. Divide your batter equally amongst the 3 pans so that the cakes will be equally sized. DO NOT OVERBAKE. This is the key to a delicate, moist cake. The filling ingredients. My grandmother didn’t specify golden raisins, but I thought they would be pretty. My grandmother also didn’t have bourbon in her recipe but I thought it would be a nice addition. She had the word “wine” on her recipe card, but I wasn’t sure what kind. The bourbon turned out great. It gives it a boozy flavor which is lovely. When making the filling on the stove, stirring is the key. Don’t stop stirring or you might get scrambled eggs. Once it’s done, you will need to refrigerate, so that it thickens up enough to spread onto the cake without spilling over the sides. Here’s my grandmother’s recipe card. Her handwriting wasn’t the best because her finger was damaged in a childhood collision she had with a fan. The index finger on her right hand was always straight. She couldn’t bend it but she could play the piano beautifully and she taught many students as well as played the organ at her church. And arranged flowers (from her garden) for her church every Sunday for 30 years! 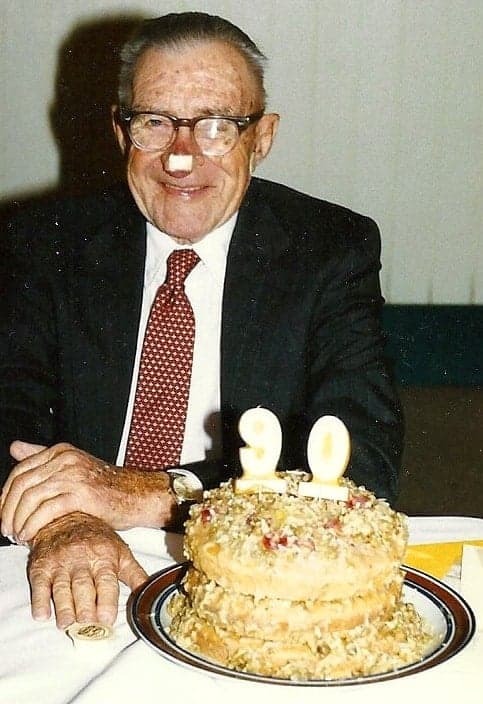 This is her brother, John Glenn (Uncle Gus), and an Alabama Lane Cake for his 90th birthday. I’m sure my grandmother would have made it for him if she had lived long enough. We think this one was made by his wife, Aunt Doris (around 1995). Preheat oven to 350°F. Prepare 3 round 8-inch cake pans by brushing with homemade pan release* (goop), lining with parchment rounds and brushing on more goop. Place cake flour, sugar, baking powder and salt in a medium bowl. With an electric mixer on low, combine the dry ingredients for about 20 seconds. Take the butter out of the refrigerator. With the mixer on low, add the butter, one cube at a time. Mix on low until you have achieved fine crumbs. With mixer on low, add the milk and vanilla. Continue to mix on low for 5 minutes. Then gradually add the egg whites in several batches. Mix on low for 3 more minutes. Pour batter into prepared pans with equal amounts in each pan (about 1 1/2 cups or 388g per pan). Bake for 25 minutes or until a toothpick inserted in center comes out clean (a few crumbs on toothpick is ok). DO NOT OVERBAKE! Let cakes cool in the pans for 15 minutes. Then remove from pans and cool completely on cooling racks. Frost when cooled. Store in an airtight container at room temperature for 1-2 days. To keep fresh longer, store in airtight container in refrigerator. *Goop is homemade pan release. You can easily make it by combining 1/2 cup vegetable shortening (such as Crisco), 1/2 cup vegetable oil and 1/2 cup flour in the bowl of an electric mixer. Beat on medium speed until smooth and creamy. Brush on pans to prevent sticking. Store in the refrigerator in an airtight container for months. Or you can use non-stick cooking spray. To cut the parchment circles, place a clean pan on top of parchment paper. Use a sharpee marker to trace the outer edge of pan onto paper. Cut with scissors. Combine egg, yolks, sugar, butter, and milk in a medium saucepan. Stir constantly and bring to a boil over medium high heat. It's important to keep stirring, so you don't have scrambled eggs. Once it's boiling, continue stirring vigorously for 2-3 minutes. Remove from heat and cool for 5 minutes. Stir in vanilla, bourbon, raisins, nuts and coconut. Refrigerate for about 1 hour or until completely cooled. It's ready to frost the cake. Divide into thirds. Place one layer of cake on a cake board or platter. Frost with one third of the filling on the top only. Do not frost the sides. Place another layer of cake on top and spread another 1/3 portion of filling. Repeat for last layer of cake and filling. Place cherry halves on top. It's ready to serve. This recipe is featured on Meal Plan Monday at the Southern Plate. The Lane Cake was a success! And well received at the family reunion. I hope you will try it. My cousin describes it as a blonde German chocolate cake and I think that’s exactly right. 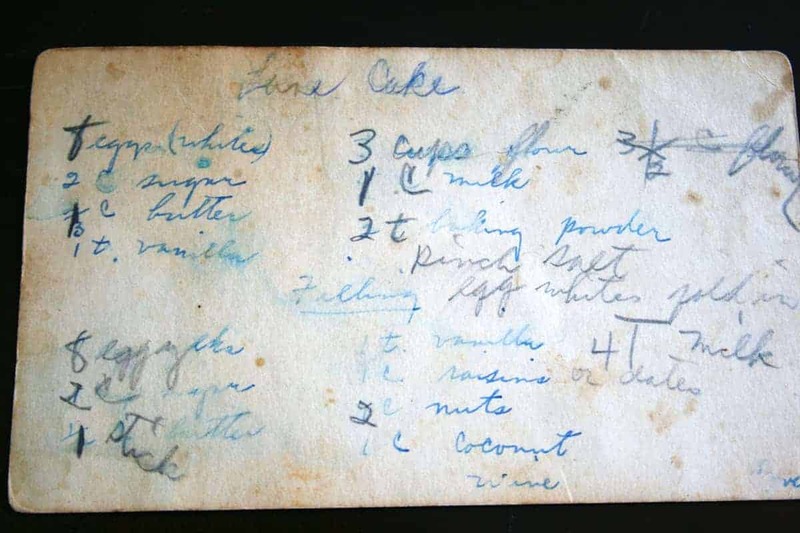 You also might like this cake from my grandmother’s recipe collection. It’s called Watergate Cake. What a lovely story and cake. My grandmother is the inspiration behind much of my cooking. Thank you for sharing! Love the included history with this recipe. Thank you for sharing this, especially the pic of the original recipe card. I have recipes from my grandmother as well. I have the original recipe from my grandmother’s 1940’s cook book. Wine means cheap grape wine. When my uncle, her son was stationed in Vietnam, she sent this very sturdy cake to him wrapped for all it glory. After the long journey, the wine, raisins and cake had fermented into the best cake he had ever tasted. I took over her tradition of making it for him every year after she passed. Just the thought of a lane cake brings floods of memories and tears. What a lovely story! I’m a native Alabamian, so feel confident in telling you that in my family we usually use much thinner layers of cake, even splitting those in half would be even better! My Mom used bourbon, although a lot of cooks would use the wine. The thinner layers allow more absorption of the filling. That makes the cake more moist, although sometimes the layers will slip a bit, toothpicks come in handy ; ) Your cake looks wonderful, very festive. Lovely story and responses, thank you for sharing. 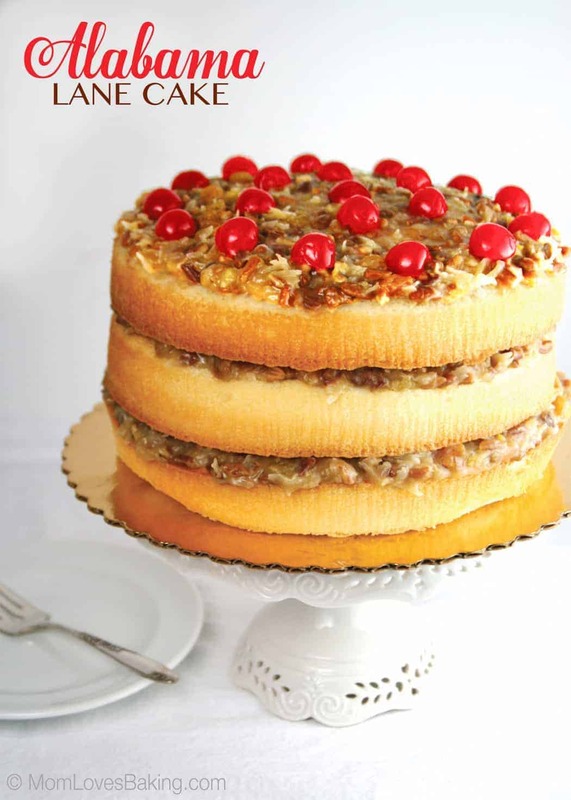 This cake was introduced to my family (by a favorite aunt) in 1954 – when I was just four years old! I became aware of it many years later and, as soon as I was left alone in the kitchen (!) started baking my own! The original recipe calls for 8 egg whites in the cake and 12 yolks in the frosting; I use a full dozen whites for the cake, so I’m not left with extra whites – you can make only so many meringues, after all…! 1. Liberally spray cake pans with Baker’s Joy or equivalent. (The original recipe calls for greasing the pans, lining the bottoms with waxed or parchment paper, then greasing and flouring the whole thing. That takes way too much time and the Baker’s Joy (oil and flour in a spray can) is an excellent alternative.) If you don’t have four cake pans, use two at a time, washing them thoroughly after baking, then re-spraying/prepping for the last two layers. 2. Preheat oven to 375° F. Place first rack in center of oven. Put second rack about 2″ below. 3. Beat egg whites until they stand in soft, glossy points, but are not dry. Set aside in a separate bowl if you don’t have two mixers. Wash and dry mixing bowl in preparation for making the rest of the batter. 4. Beat 1 cup butter until fluffy. 5. Gradually add sugar and beat after each addition until light and fluffy. 6. Add vanilla and beat until mixture is as light as whipped cream. 7. Sift together: sifted flour, baking powder, and salt. 8. 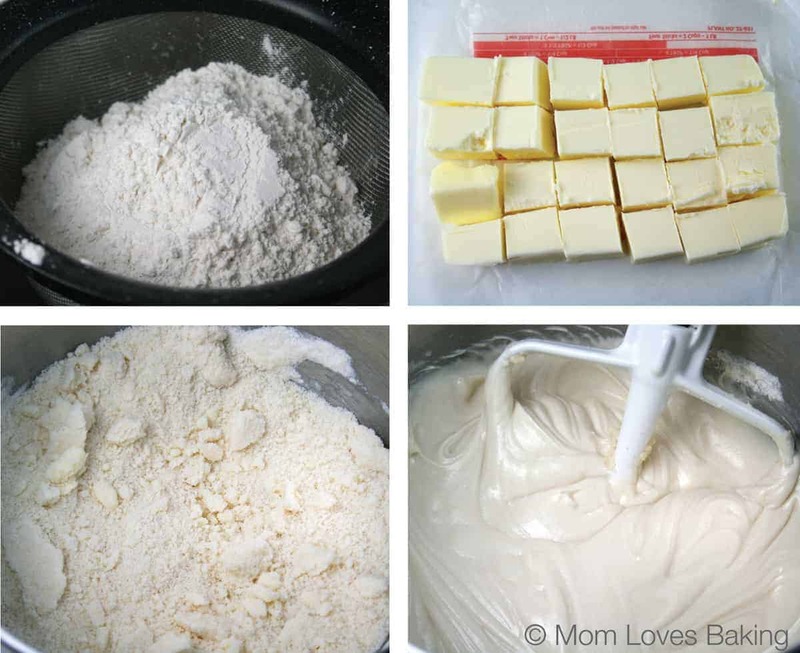 Add dry ingredients and milk alternately to butter mixture in small, amounts, blending after each addition until smooth. 11. Put 2 pans on each oven rack so that one pan is not directly beneath another. Bake 15 to 20 minutes, or until done. Cake is done when it shrinks from sides of pan and surface springs back when presses lightly with finger. It will be a light golden brown on the bottom and pale on top. 1. Put egg yolks in top part of double boiler and beat slightly with rotary beater. 2. Add sugar, salt and butter. 3. Put over simmering water and cook, stirring, until sugar is dissolved, butter melts and mixture is slightly thickened. DO NOT overcook or let egg yolks become scrambled in appearance. Mixture should be almost translucent. 4. Remove from heat and add whiskey. 5. Beat mixture 1 minute with rotary beater or whisk..
6. Add nuts, raisins, coconut and cherries. If double-boiler top is too small to hold all this, mix ingredients in large bowl; cool. TO STORE CAKE: Cover with cake cover or loosely with foil or plastic wrap, tucking it under plate, and store in cool place. Stored this way, cake will keep well 1 to 2 weeks. If frozen, cake will keep almost indefinitely. 1. To choose your coconut, shake it and listen for the sloshing sound of the liquid inside. The more liquid, the fresher the fruit. 2. Pierce the two coconut ‘eyes’ with screwdriver or ice pick and drain off liquid. 4. Remove coconut from oven, tap all over with hammer, then break open. I am from Jasper,Al. and i had not heard of a Layne Cake till i moved to Va. I have made it a time or two and i must say it was good. Thank you for all the work you put in for others to enjoy this cake. My mother would make a lane cake every Christmas. She passed away in ’87, and I lost her recipe. Thank you so much for sharing. I will definitely be trying this one. My dad’s mother, MoMo Ray would always tell my mother she wanted a lane cake for Christmas and mother would always cook one for her! Oh the memories of childhood! Glad I found this recipe! Thank you, Pat in Nashville, for sharing your recipe. I love the idea of using fresh coconut. That sounds so good. Where was your favorite aunt from? Sorry: I just saw your post from last December, Admin! I was born in Brooklyn, NY and raised in Queens; the aunt who gave us this recipe was my mom’s favorite sister and was also born in Brooklyn. We are all of Barbadian ancestry (my dad, my mom’s parents, my husband!) — and [probably] inordinately proud of that! @Randy Johnson, my grandmother passed away in ’87 as well. Recipes are a wonderful way to remember our loved ones. I’m glad you found this recipe. Enjoy! Now this is a cute cake. I love making cut cakes becuase I don’t have storage room for more shaped pans. I bought a copy of Betty Crocker’s “New Cake Decorating” years ago and it’s my standby for kids’ cakes. All cut cake designs. Thanks for this! the recipe. Wish I had this recipe before my dad passed. He would have loved it! Thank you for posting this recipe. We have a cake very similar to yours in our family which has been passed down for years. Do you know if it is named Lane Cake as a family name? Lane is our family name and our ancestors hailed from England to N. Carolina to Georgia then Alabama and finally to Louisiana just before the civil war. I spend a lot of time on ancestry.com researching the Lane family and thought what a coincidence if I should meet family members thru the love of baking. I will try baking your cake soon, maybe Easter. Thanks again. Linda Smith, I made this and in place of the Bourbon, I used apple juice. This has to be my number one cake recipe ever. I am planning a baby shower this next weekend for my daughter-in-law, and this will be the shower cake. I can’t wait to get everyone’s oooh’s and aaaah’s lol. Thank you for posting it for us! Other than when my aunt introduced us to this cake, we’d never heard of it either — until Harper Lee talked (in her iconic novel, “To Kill a Mockingbird”) about the Finch’s neighbor lady making a Lane cake for some occasion or the other… Next time was many years later when the New York Times Sunday Magazine posted recipes for the cake, using either the fruits mentioned above or a lighter version, using a lemon crème filling. I’d love to find out more of the cake’s history, too! Anybody know? Love seeing old recipes. Many of my recipes came from my Mother’s Mother who was one of the best cooks I have ever known. 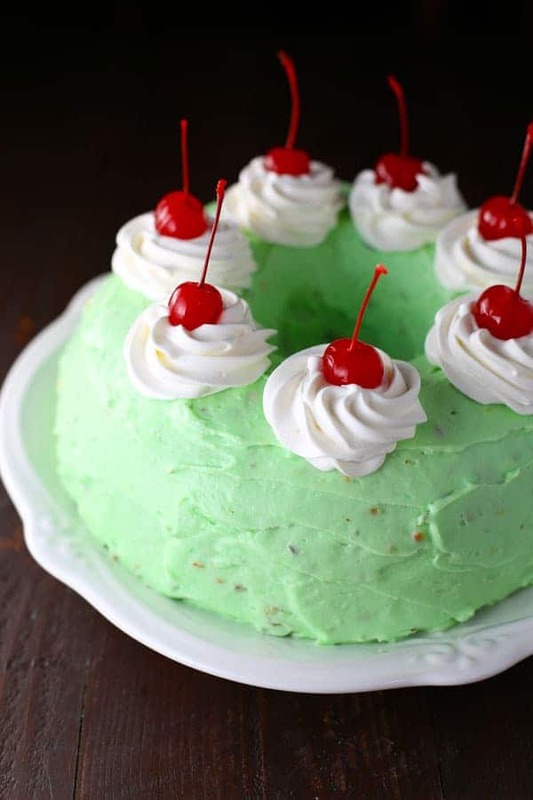 Her Georgia version of this cake is very similar to yours except that she put a Seven Minute Frosting over the outside of the cake and put her cherries on top of that. Still one of the best cakes for any occasion, always a treat! what could be used in place of the alcohol? We do not use alcohol. This appears to be a wonderful cake for a group meeting. My grandmother made this very cake but called it a Lady Baltimore. She put all the topping (except eggs) through a grinder. I still use the grinder. Annie, you could just omit the alcohol. If it’s too thick, try adding a lit bit of water while is on the heat. Marty, That’s so cool! Thanks for sharing. I’ve seen a cake called Lady Baltimore in the Southern Living Cookbook and it is a lot like the Lane Cake. I live in southern Colorado. Any suggestions for high altitude (around 7200) baking for your recipe? The wine your grandmother used was probably homemade scuppernong wine . My grannie ground the raisins and pecans with an old sausage mill (I use an attachment to my Kitchen Aid), mixed them together and added the custard filling to the fruit and nuts. She thinned it with wine, filled the cake and drizzled wine on the cake until serving. She topped the cske with coconut. 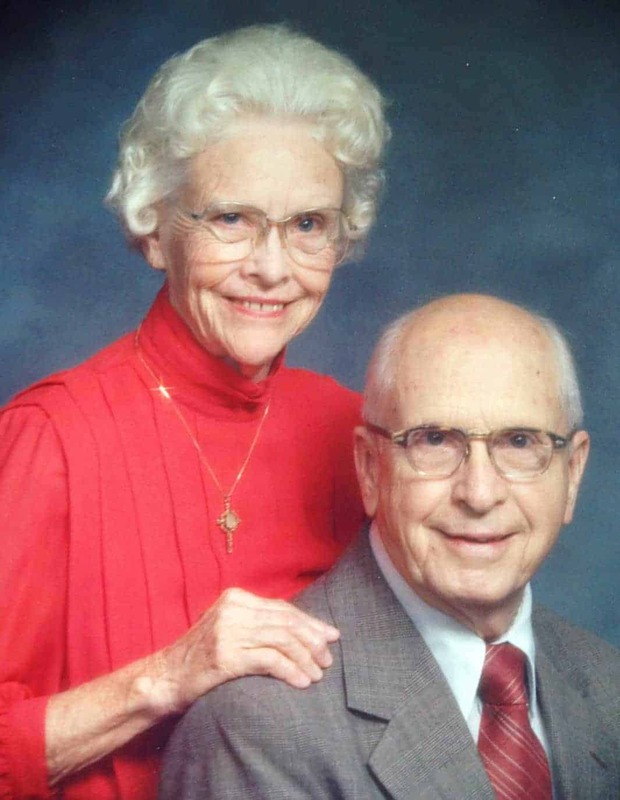 Grandmother hailed from Clay County, AL. My family (both Mom and Dad) came here from Russia in the early 1900″s. My parents were very young then. We are Volga Germans. But your story and recipe sound wonderful. I want to make this for the holidays. I know my family will love it. The recipes my Mom brought from Russia are very simple in nature, but delicious as well. It was a harsher environment over there. Thank you so much for sharing. My Grannie was born in 1883, in northern St. Clair County, AL, raised and lived all her life there. She always made Lane Cake for Thanksgiving and Christmas. Too rich for warm-weather, too expensive (she had to buy the raisins, coconut, flour, and vanilla), and too labor-intensive for anything but celebrations. The cake itself was just a sturdy white vanilla cake. It was the frosting that made it a Lane cake. 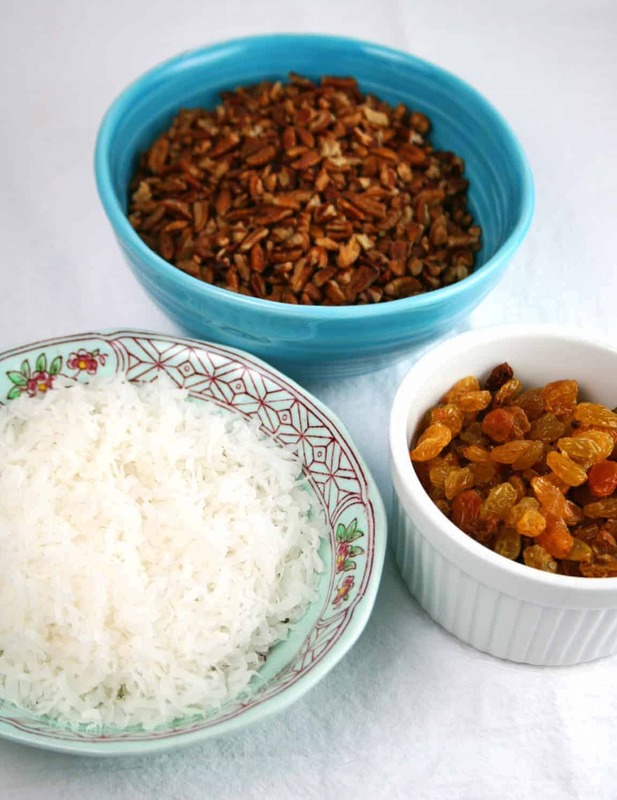 As mentioned in above comment by Pat Junko, she used an old crank-style sausage grinder to grind together seedless raisins, pecans, and the meat from a whole coconut. The grinder was screwed to the edge of the kitchen table, and newspaper laid thickly under the grinder to soak up the dripping pecan oil and coconut liquid squeezed out by the grinding process. She made an egg-sugar-butter custard like the recipes above, then stirred the ground raisin-pecan-coconut mixture into the hot custard. 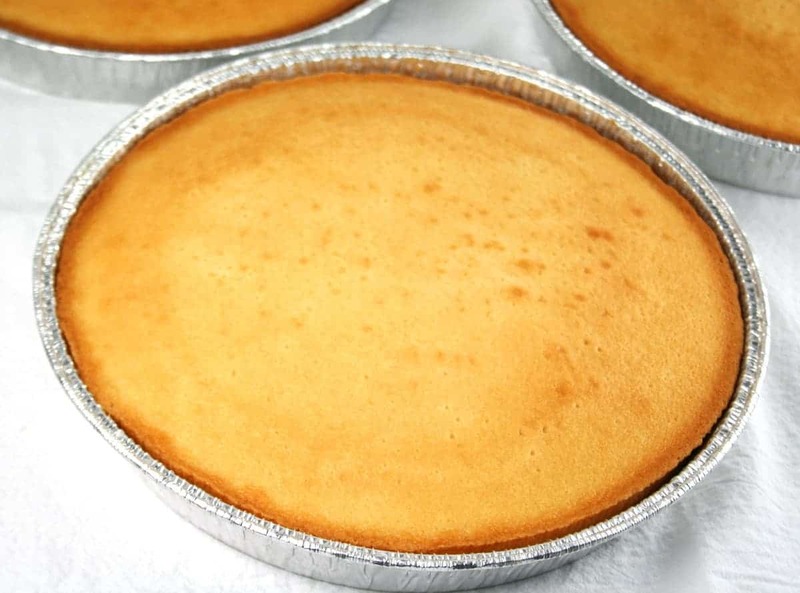 When cooled, that was used between the layers (at least 3, usually 4, and sometimes as many as 6) of white cake. She usually didn’t frost the sides of the cake, but when she did, it was with the same filling she used between the cake layers. She didn’t use alcohol (St. Clair was a dry county) or any kind of cherries. Sweet memories. Thanks for the reminder of a precious time. Made thus cake with my sister for our mother’s birthday. Let me tell you everyone loved it! Thank you so much for sharing this recipe. I thought it was going to be hard to make. And many steps. But it wasn’t at all. So funny coming across this,my mother was from Geneva county and she made this every Christmas as well.I have seen other recipes in the past for lane cake but there is only one recipe for Alabama Lane Cake.This was the same recipe she used,thanks for bringing back so many memories. Lane Cake has been a favorite in my family for over 60 years. I grew up about 30 miles south of Dothan in Marianna so I guess the “Alabama” recipes crossed the state line! Over the years, she stopped making the cake from scratch and simply uses a butter recipe cake mix, which is fine with all us because it’s the filling we love so much. The filling recipe is the same as your grandmother’s. My youngest daughter has now picked up the torch and makes the cake on Thanksgiving and Christmas only….we never have it any other time of the year so it stays very special to all of us. that makes ALABAMA LANE CAKES for purchase. I’m sorry but I don’t know anyone. Hi Brenda, What year was that? Just curious. Also, you can omit the alcohol from this recipe if you want to. Well, that makes two of us in the Florida Panhandle who are fans of the Lane Cake. I’m in Panama City and don’t find many people who make it, or even have the recipe. 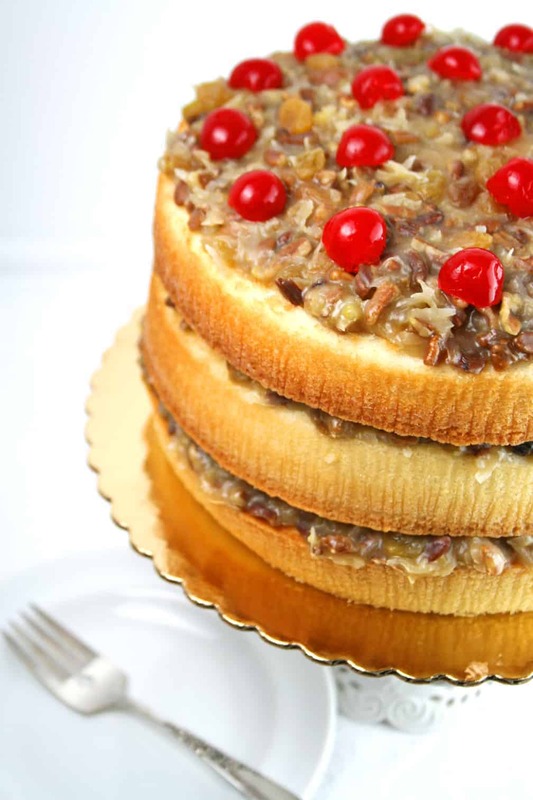 This Lane Cake is the closest to my recipe that I have seen, especially the suggestion to put your pecans, currants (I use raisins) and coconut thru a food grinder, which I ALWAYS do. 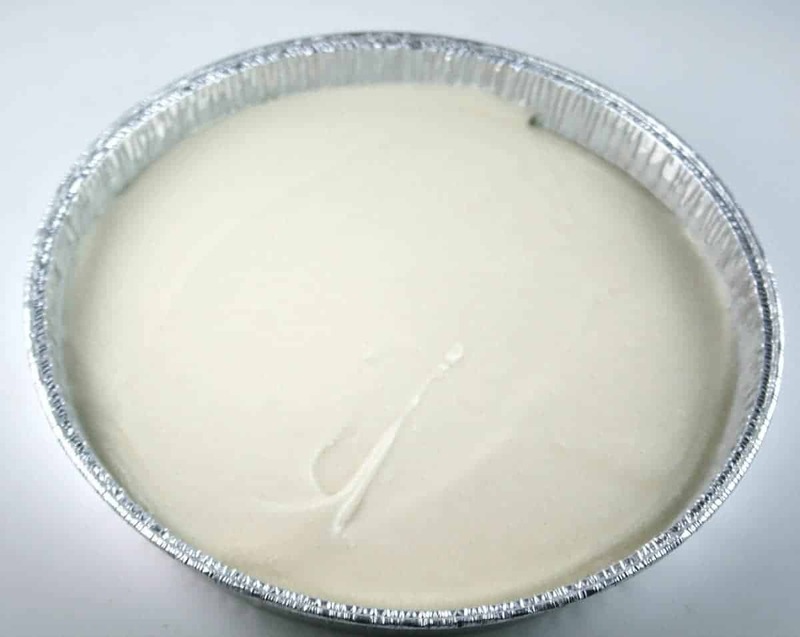 It makes the filling smoother and much easier to spread and will hold nicely to the sides of the cake. It also allows us to use regular coconut, when we don’t have fresh available. The Lane Cake has been a favorite with our family and friends since the 1950’s and always took a Blue Ribbon at the County Fair. I make at least 4 layers, giving you more of that good filling. After all, that’s the best part of the cake! 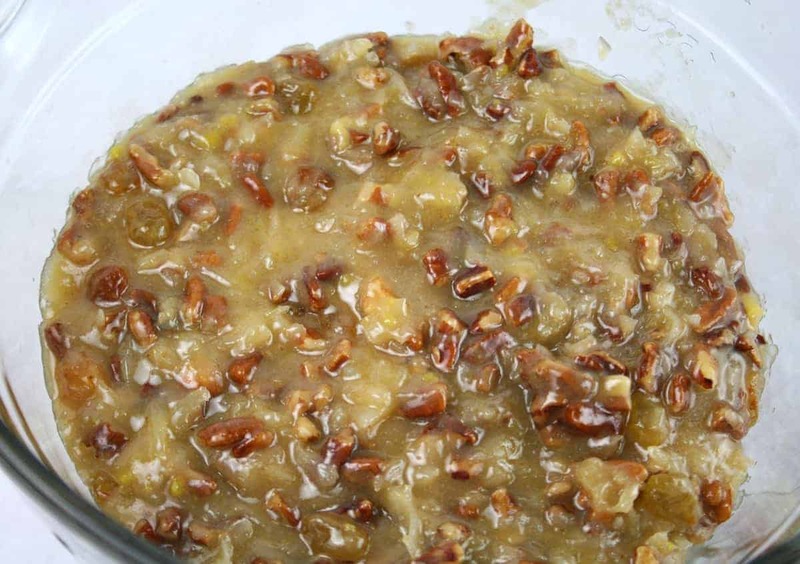 My recipe calls for 4 cups of pecans and I use Wine or Apricot Brandy (preferably the Brandy). Good fresh pecans make all the difference in the world (as most of you already know) and years ago we got them from and Aunt & Uncle who had a pecan orchard in south Georgia. Now we order from Good Hope Farms in Columbia, Alabama. A friend who was buying their pecans at the Base Commissary recommended them, and you can go online and check them out. The first time we called and mentioned that we would be needing some for holiday baking and the man said if we were not in a hurry for them, we might like to wait a few more weeks till the fresh crop was in. So we did. Thought that was nice of him. Just wanted to pass that little tip along. I love Panama City and went there every summer as a kid. Thank you so much for your comments! I have never had Lane Cake before , I stumbled onto it by seeing state by state best desserts . I came across Mom Loves Baking when I put Lane Cake in address bar on Pinterest and I am so glad I did. I think that it is so precious the story of your grandmother her recipe card with her handwriting and the pic of your grandparents . Reminds me of my own precious grandmother. she too wrote down recipes with only ingredients and no directions .but no matter whatever she made it always turn out superb ..I have several of her hand written recipes ..Thank you so much for sharing I cannot wait to bake this cake and try it!!! Thank you, John! I hope you enjoy the cake!